New reader? 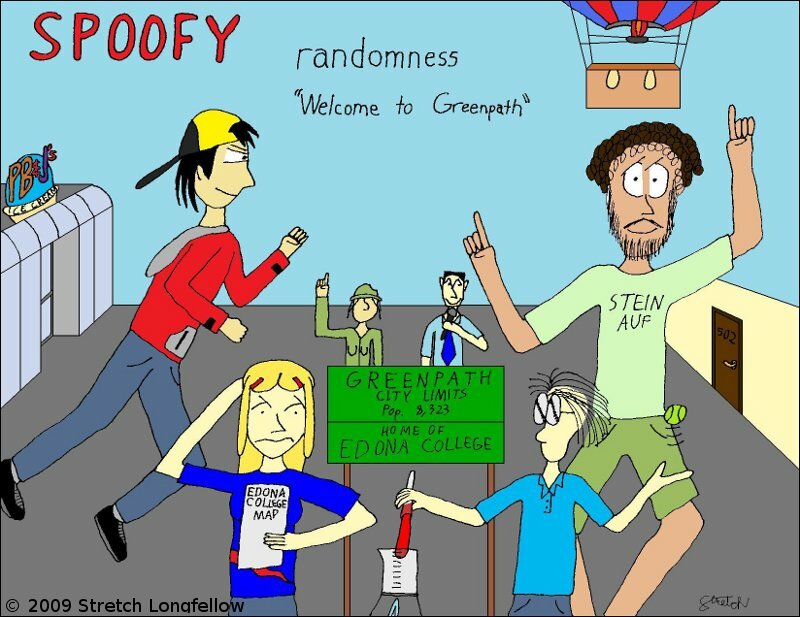 Welcome to Spoofy Randomness! If you look at whatever comic is displayed on the front page, you may be wondering what on earth is going on! Firstly, you will notice that there are four different comics on the right-hand sidebar: SR: Not on a Camel (the current main comic), SR: Scouting (a Boy Scout-themed spinoff of the main comic), SR: On the Origin of Santa Claus (the original comic under the Spoofy Randomness brand), and the sketchbook (whatever doodles come to mind). The main page features whichever one updated most recently. The navigation buttons keep you within whichever of the three you are in, i.e. if you are reading Spoofy Randomness, it will not take you to sketchbooks or SR:Scouting. Use the right hand buttons to switch between each. Now that I’ve thoroughly confused you, where do you begin? If you’re interested in the comic series as a whole, as Julie Andrews so eloquently put it, “let’s start at the very beginning, a very good place to start“. My recommendation is to start at the beginning of the main comic (I promise my art gets better over time!) and work your way up to the present day before bothering with SR:Scouting or the sketchbook. If you’re a little intimidated by the size of the archive, I recommend starting at the 4th birthday recap sequence, a humorous chibi version of the events. If you’re just interested in SR: Not on a Camel, start here.